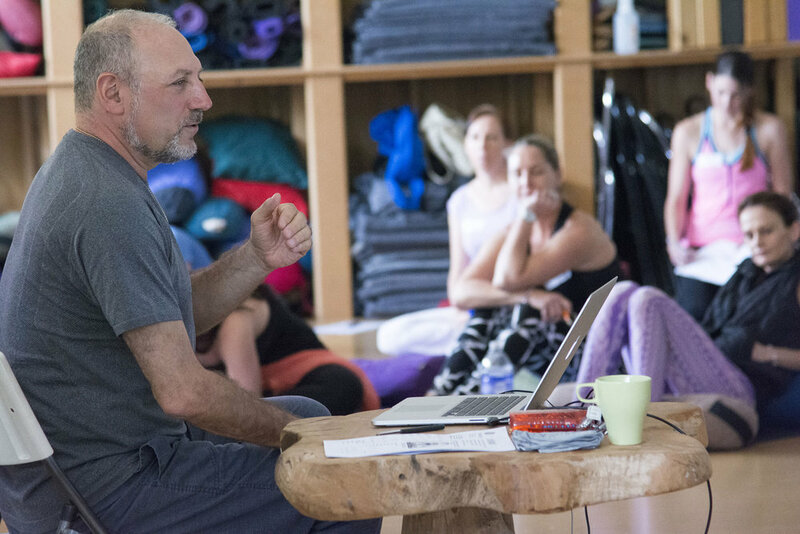 In this highly interactive, experiential session, Leslie will introduce the distinctive breath-centered teachings of Krishnamacharya and Desikachar from a historical, scholarly and anatomical perspective while leading participants into a progressively deeper understanding of the vital forces at work in the human breathing mechanism during yoga practice. Details of breath sequencing, and coordination with movement and spinal action are some of the elements that comprise the topic of bandha. Far from being a mystical practice, the good news is the moment we were immediately, implicitly learning bandhas when we first learned to coordinate breath and body movement. From this perspective, deepening our yoga consists of nothing more than uncovering our innate ability to find support and spaciousness through a breath-centered practice. Axial rotation is the anatomical term for twisting of the spine. Understanding the structural core of twisting postures, known in yoga as “Parivritti,” reveals the critical role that breathing plays in safely accomplishing these complex movements. In this practice-oriented workshop, Leslie will review the key structures of the spine and breathing mechanism that can contribute to (or sometimes interfere with) the twisting actions of the body. The positions of sitting, standing and supine will be explored, as well as the role of binding and twisting’s effects on our physiology. If you like a strong, flowing, breath-centered yoga practice, but have done more than a few too many down dogs, up dogs and chaturangas, then this is the class for you. This practice-heavy workshop will lead you through a specially-designed vinyasa that strongly works the legs and moves the spine in all possible directions, all without putting any body weight on your hands. In a yoga class, one of the first opportunities for students to connect with their teacher is through a shared “OM” but how often do we pay as much attention to the details of this sound as we do to the nuance of asana? Leslie will deconstruct the phonetics of this complex, resonant, sacred vibration with a review of the phonetic map of the mouth embedded in the Sanskrit alphabet. He will lead students in a simple chanting practice to blend exploration of the relationship between sound, physical support and movement. 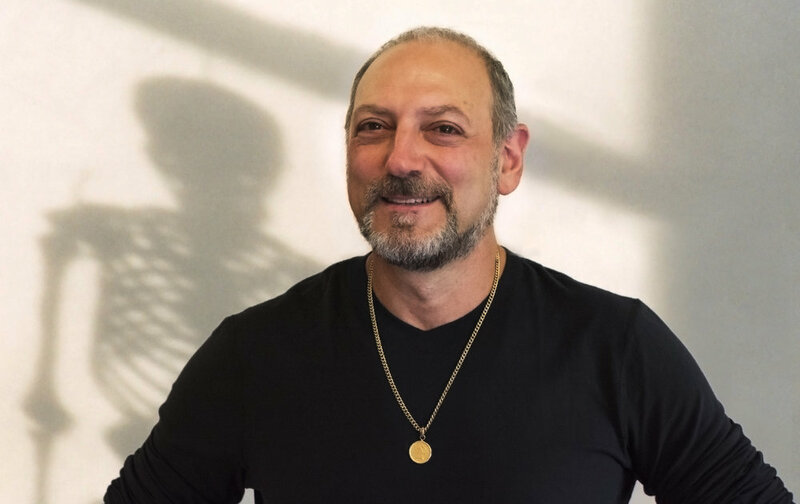 You can follow him on Instagram (@leslie.kaminoff), Twitter (@lkaminoff) and on Facebook (LeslieKaminoffYogaAnatomy), on YouTube (YogaAnatomy) and learn more at YogaAnatomy.org. As you dive into any of our trainings at RA, enjoy a range of plant-based meals from our healthy RA studio Cafe to fuel your body and mind for a special price. Having a meal package as you train is an easy way to nourish yourself with our home-style, comforting, vegan food and great to save time and energy. With your meals ready to greet you on our break, it’s a nice addition for you to focus on resting and rejuvenating, to go back into your training fresh and clear. * Please note: drinks and snacks excluded.